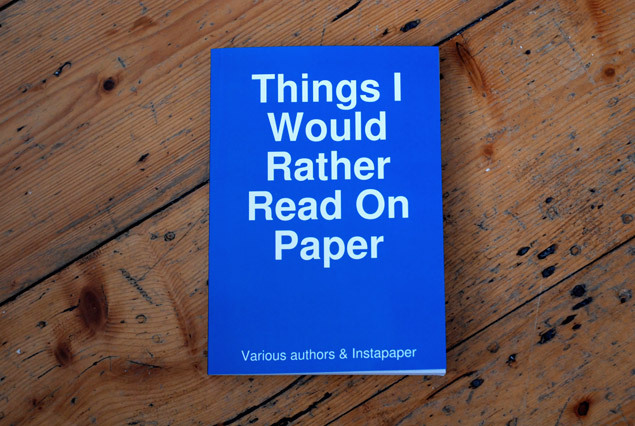 I love Instapaper, except for one small thing. I recently built up a hefty backlog of unread articles, and the prospect of reading them all on a laptop or iPhone screen seemed like more of a chore than a pleasure. Something had obviously gone wrong. I had personally curated a series of articles, blog posts and essays that I was genuinely interested in, but somehow the resulting collection felt like a to-do list, yet another inbox on my computer waiting to be un-bolded. What I really wanted was a nicer user interface to these articles. So I copy-and-pasted the text of my unread articles from Instapaper into a PDF, uploaded it to Lulu.com, and ordered a single book. Naturally I thought about scripting all of this but Instapaper doesn’t provide an API to retrieve articles, and I didn’t really want to bother with authentication headers and screen scraping and all of that hackery. I just wanted the book. I know books are supposed to be old media, but there’s something that feels futuristic about holding this one. It’s imperfect, disposable, personal. 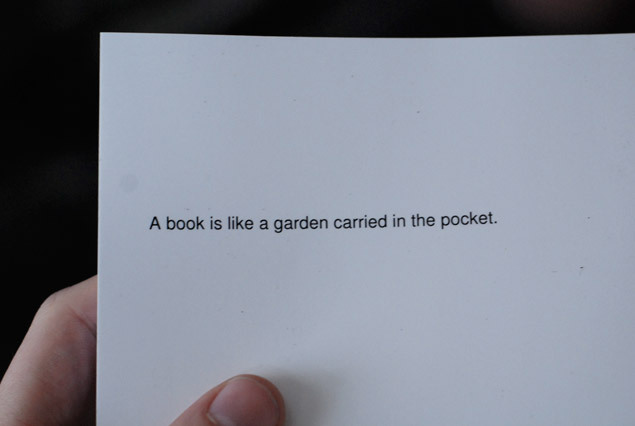 I can scribble on it and dog-ear it, and read it lying down. It cost around $10 and arrived in less than a week. So I’m off to read a book now.